No matter whether you’re a novice player who has just bought their first set of clubs, or a novice with years of experience on the green, we are absolutely certain that you will benefit from our golf tips. Getting started is often the most challenging part of golf, but our advice on improving your golf techniques specifically designed for players in Australia and New Zealand will have you feeling like a pro in no time. At EbalonGolf.com we speak the language of golf – allow us to assist. Focus on equipment that will allow you to develop your skills with minimum expense. Start with a driver, a putter, and a sand-wedge. Your second set of purchases should be a 6-iron, 8-iron, a pitching wedge, and a fairway wood with 18-21 degrees of loft. Opt for woods that have more loft which will assist greatly in getting the ball airborne and also reduce sidespin so the shots fly straighter. Decide whether you are playing as a hobby or if you intend to get serious about playing golf, as this will greatly impact on the amount of time and money that should be spent. Start with some basic lessons from a professional instructor as this will prevent you from picking up bad habits when you’re just getting started. Don’t start whacking balls right away, but instead focus on building your golf muscles with half-swings. Overthinking is common in golf so if you’re unsure on any golf techniques, go back to basics – check your ball position and posture and then make a relaxed swing all the way to the finish. Once you feel comfortable with the basics, you’ll be ready to move from the range to the golf course, but this doesn’t mean you should play alongside the pros. Here’s what you should keep in mind when hitting the golf course for the first time. Start small: you don’t want to have to land eight shots before getting to the green, so start on a par 3 or ‘executive’ course before attempting an 18-hole championship course. A par-3 course offers holes that all generally an average of 180 meters or less. Build yourself up to playing 18 holes by playing 3 holes of a 9-hole course first during the late afternoon when the course is less crowded and the rates are lower. Choose the right course: the perfect beginner’s course will be short and flat and won’t have many hazards or forced carries such as waste areas you have to hit over to get to the fairway. So you’ve been invited for a round of golf by a friend or colleague, so what can you do to ensure you don’t embarrass yourself? Don’t lag behind: this doesn’t mean you should rush your shots, but you should take 1 or 2 practise shots and be ready to hit when it’s your turn. Always wait your turn: generally the person who has the best score on the previous hole has the honour and tees off first, followed by the person with the 2nd best score, etc. Yell ‘fore’: you will most likely end up yelling this a lot when starting out and essentially is a warning to other of a rogue ball coming their way. 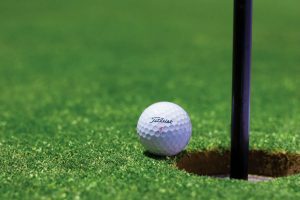 Hopefully our golfing tips on this online sports betting guide have increased your chances of success and be sure to check back with EbalonGolf.com on a regular basis!